BarterNet is bringing together premier retail trade exchanges and corporate barter companies to create the world's largest global trading network. These agreements are the first to be announced for the rapidly growing global barter exchange. BarterNet (www.barternet.com) is the world's most diversified marketplace for businesses to trade products and services-supporting both off-line and online transactions, through an established network of the most experienced trade brokers and experts in the world. The company is backed by Wand Partners, Alignment Capital, and the partners of Parthenon Capital. BarterNet's plan represents a hybrid "bricks and clicks" strategy, in that it combines the established barter exchanges with the reach and power of the Internet. The four exchanges account for more than $31 million in annual barter and represent 4,900 businesses. BarterNet co-founder, chairman, and CEO Laird Cagan explained, "The BarterNet network is composed of established exchanges that have been in business for years and have demonstrated records of profitability. Our agreements strengthen the ability of the membership of each exchange to have access to a wider variety of barter opportunities, including national and international trades." According to Cagan, BarterNet will blanket the U.S. and Canada, plus have a strong presence in Europe and Australia. "The inventory of products and services will be vast, with the flexibility to trade both in person and on the Internet...supported by the most experienced trade brokers anywhere in the world." BarterNet's plan is substantially different than existing internet-only barter organizations in that it combines the best of the existing trade exchanges with the power of the Internet. As part of their formal agreements, the four exchanges plan to merge with BarterNet Corporation at a later date. RTE Corporate Barter Group (www.rteinc.com) is a regional barter clearinghouse of products and services with corporate offices in Rochester (NY), and branches in Buffalo, Syracuse, and Binghamton/Ithaca. RTE is a founding member of the International Reciprocal Trade Association (IRTA) and the North American Barter Group. More than 1,500 companies actively trade with RTE with an annual volume of $10 million. Based in New York City, Barter Advantage (www.barteradvantage.com) serves 1,200 companies, representing more than $10 million in barter transactions last year. 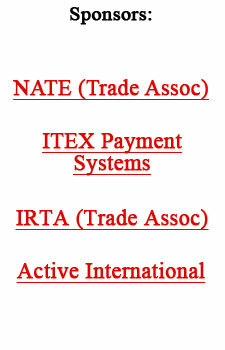 Barter Advantage is a member of IRTA and the National Association of Trade Exchanges (NATE). Based in the Boston area, with a branch office in Providence (RI), Bartermax (www.bartermax.com) serves 1,200 companies, representing more than $6 million in barter transactions last year. Bartermax is a member of IRTA, NEBA, and the Neponset Valley Chamber of Commerce. For more information, visit www.bartermax.com. New England Trade, (www.newenglandtrade.com) located in Malden (MA), has more than 1,000 members throughout the region. In business for nearly 20 years, it is one of the largest barter organizations in Massachusetts and a founding member of NATE and the North East Barter Alliance (NEBA). New England Trade manages more than $5.5 million in sales annually. One new program is the manufacture of CFS kits which enable communities to produce their own organic foods. And for communities outside the U.S. which can't afford the purchase of the kits, a new innovative "Authenticated Barter Trade" program has been designed to help these poorer populations acquire the basic essentials. An example would be a needy tribe in Africa. They would offer to trade a natural antibiotic made from a local root extract for the CFS kits. Such barter deals will help an estimated two billion poor people, those who are isolated from the world's cash economies. Actress Jamie Lee Curtis is a big winner now that VoiceStream Wireless Corp has agreed to be acquired by Deutsche Telekom for nearly $45 billion. Admittedly, Ms. Curtis doesn't know the details of cellular technology, but she was smart enough to barter for stock options as part of her advertising deal. The SEC now requires airlines to post revenue from selling airline miles to hotels, car-rentals, and credit-card companies...not at the time of payment, but when passengers actually redeem the miles. Ray most recently served as CFO of Bay View Capital Corporation, a diversified financial services company headquartered in San Mateo (CA). Previously, he was CFO of Bancshares and its wholly owned subsidiary, Silicon Valley Bank, a financial institution serving the technology industries. Ray is a Certified Public Accountant. "I'm excited about the opportunity to join the company and build a large-scale barter economy, Ray decalared. "This is an excellent situation for me to apply my experience to a dynamic organization with significant growth prospects, and I look forward to working with the company to achieve its strategic goals."